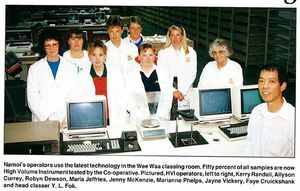 Our timeline will give you a brief history of the memorable milestones in Namoi Cotton's history. 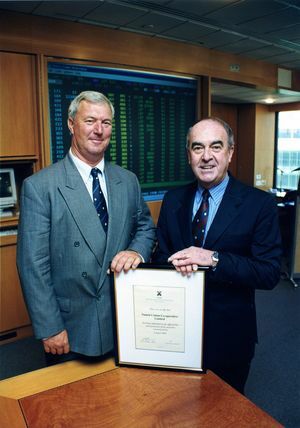 Many important events have happened since the business began in 1962 and this timeline will show how we have has grown to the successful Australian cotton industry leader that we are today. 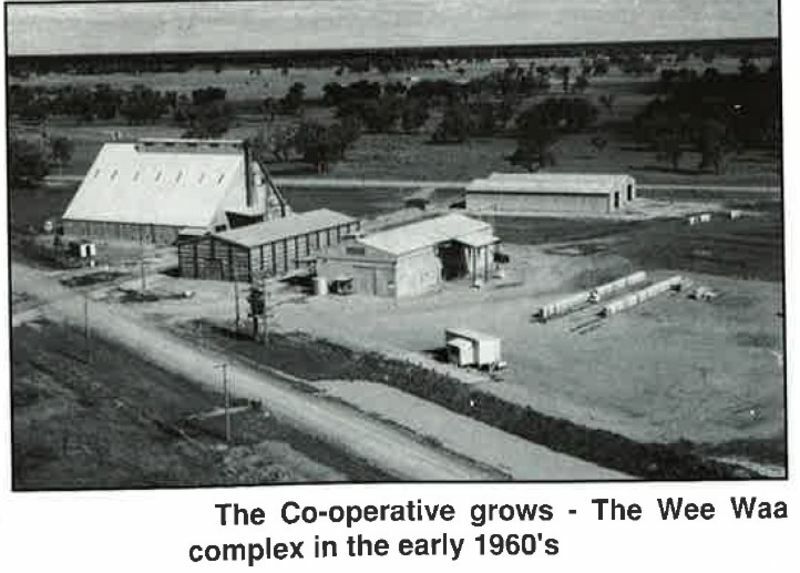 At a public meeting in Wee Waa on the 30th October 1962, a small but determined group of grower and excited towns people met to discuss the concept of a commercial cotton enterprise in the Lower Namoi Valley. 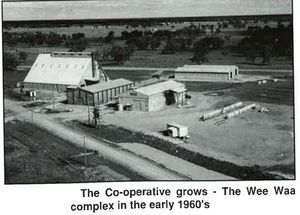 The idea of a growers co-operative was widely applauded and Namoi Cotton Co-operative Limited was incorporated as a Rural Society under the State Co-operative Act on 1st November, 1962. 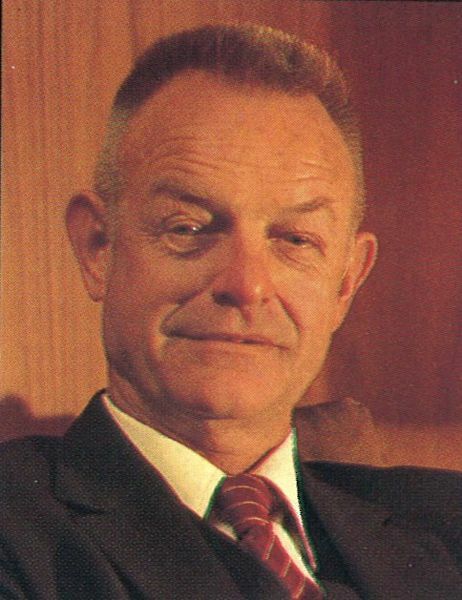 Paul Kahl was one of the founding members of the Namoi Cotton Co-operative Ltd and he was the first Chairman elected to the Board. 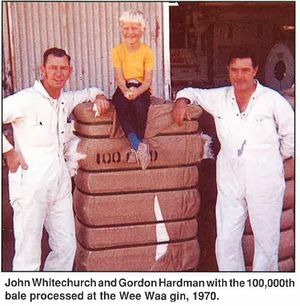 The first bale was ginned at the new Namoi gin at Wee Waa in May 1963. The Wee Waa Gin was officially opened by the NSW Premier, Mr J B Renshaw. 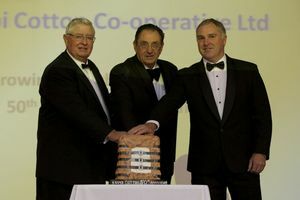 The State Member for Barwon, Mr Geoff Crawford, left, is pictured with Co-operative chairman, Paul Kahl. 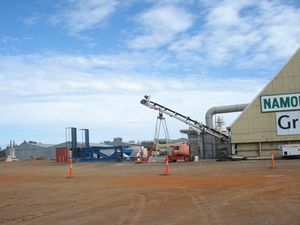 The new gin processed 1,413 bales from 433 ha. 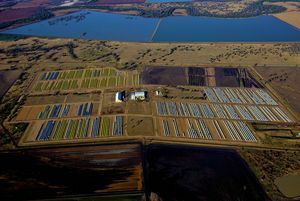 In 1965, with the expansion of cotton growing in the area, the Wee Waa ginning facility was upgraded to a four stand gin. 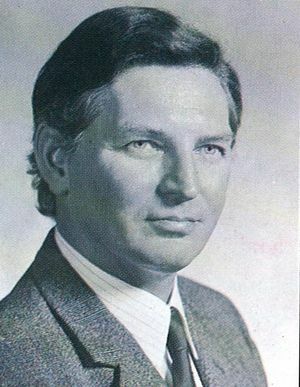 Ben Dawson took the helm of the Board of Namoi Cotton Co-operative Ltd in 1966 in the footsteps of Paul Kahl. 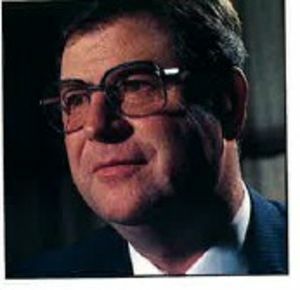 1966 was a notable year in that it was the first full year that the co-operative had employed the services of a Full time General Manager. 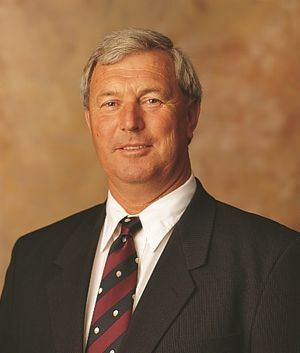 John Howes was appointed to take the previously direct management responsibility away from the Board members. 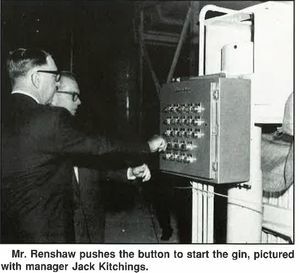 Merah North Gin was opened by NSW Premier Sir Robert Askin. 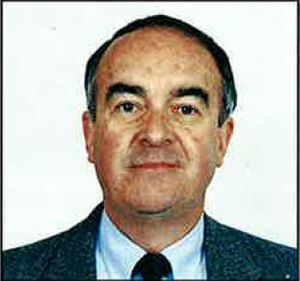 The first exports of co-operative cotton had commenced in 1967–68. 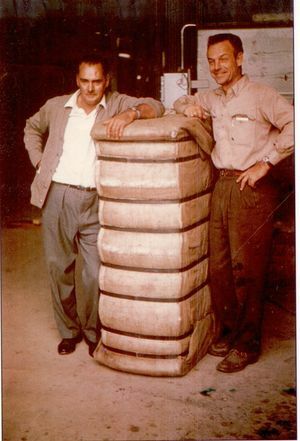 By 1968–69, exports totaled more than 22,000 bales. Growers attended a meeting to form a body to provide pure seed for planting to growers and maintain quality breeding standards. 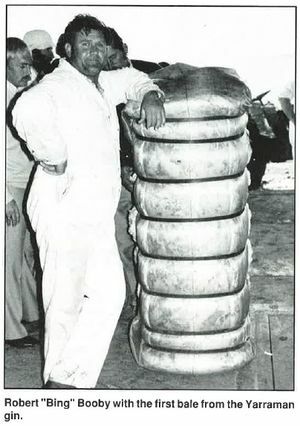 This body was called Cotton Seed Distributors (CSD). 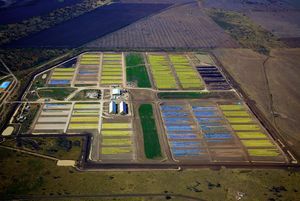 Namoi Cotton was in full support of this initiative, and along with Auscott, agreed to underwrite the company. 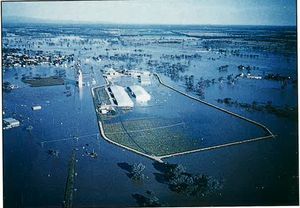 An important outcome of the severe flooding of the 70’s was the establishment of flood mitigation levees which protect cotton growing areas. 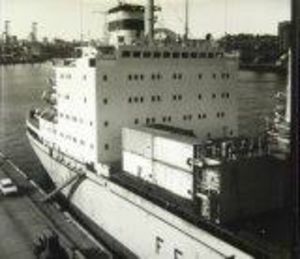 The industry was dealt a severe blow with the 1971 floods, with crops being decimated. 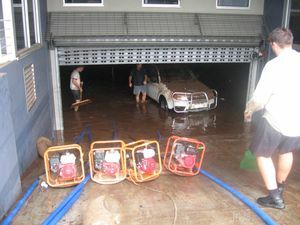 Flood waters remained in Wee Waa for 21 days and in the outlying areas even longer. 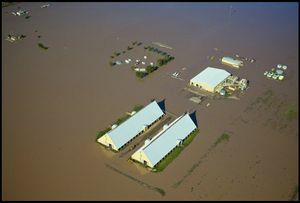 In the wake of this disaster, Namoi Cotton fought for, and, negotiated financial assistance for its growers to assist them in the recovery from this disaster. Only 20,000 bales were harvested during this season. Production from the co-ops gins rebounded in 1972 reaching 97,712 bales from an area of 17,000 hectare. 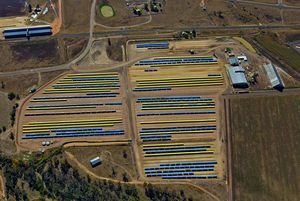 Production from Namoi gins totaled 97,712 bales from an area of 17,000 ha. 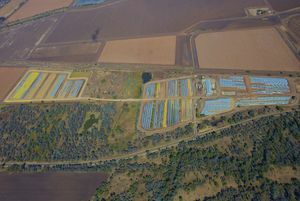 In the following 10 years the co-operative and the industry faced a host of problems; flooding, insects, adverse currency movements and the removal of the cotton bounty price support system. 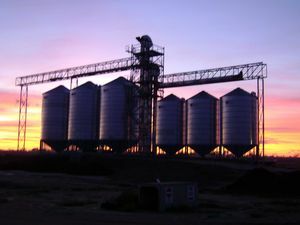 The stability offered by the co-operative, provided the necessary platform for the industry’s future. 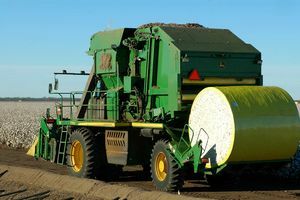 Lower Namoi Valley cotton was sent to China. 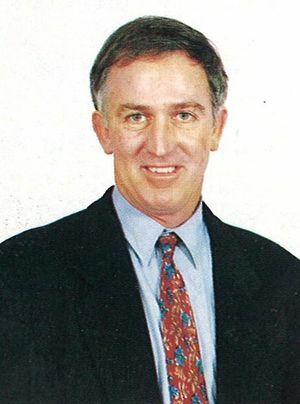 Negotiations for the sale of 16,000 bales of cotton were completed after General Manager, John Howes and representatives of China National Textile Import & Export Corporations concluded their discussions. The contract was worth $2.3 million. It was the first major sale of Australian cotton to China. 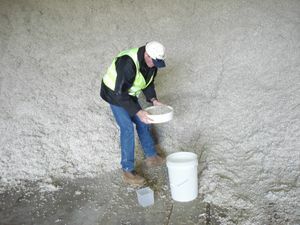 Namoi Cotton went on to address the recurring problem of hail damage and with the help of Namoi Cotton’s insurance brokers, a hail insurance scheme was launched. 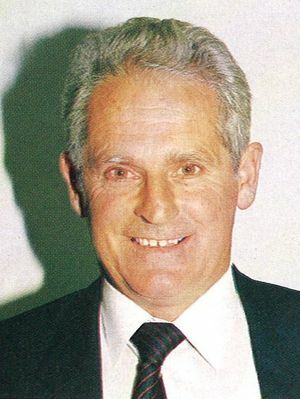 With other interested parties Namoi Cotton formed a pesticide committee to co-ordinate the aerial application of pesticides. Another innovation in the 70’s was the introduction of machinery loans to members who had survived the flood years and desperately need to re-equip with the latest cultivation and picking machinery. 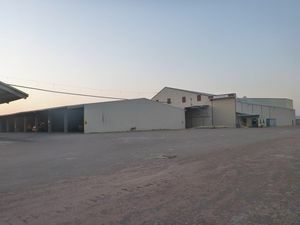 Namoi Cotton also acknowledged the need for ginning facilities in the Gwydir Valley as the industry gained expansion momentum in neighbouring river valleys and a site was chosen at Ashley. 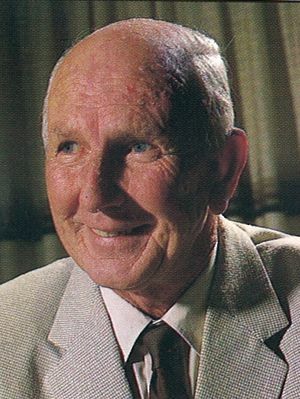 The original gin at Wee Waa was moved, and this became the first gin in the Gwydir Valley, officially opened in 1979 by the NSW Treasurer, Hon. 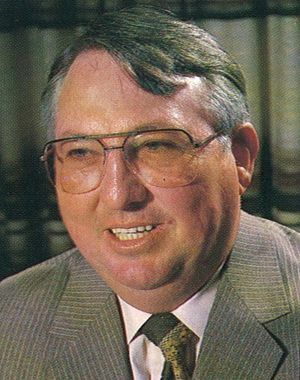 J.B. Renshaw, AC, MP. 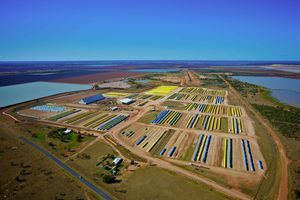 A $1.2 million rail siding and container loading facility was built at Wee Waa to handle cotton for the growing export trade out of Wee Waa. 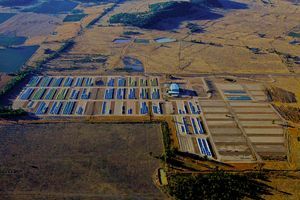 This facility was instrumental in providing the platform for step growth in Australian cotton exported to world markets. 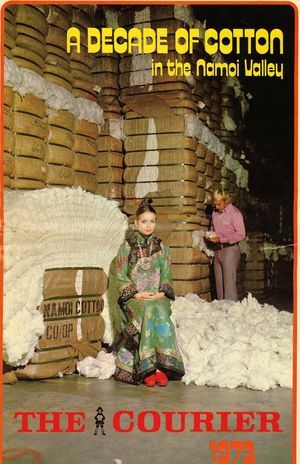 In 1979-80 the cotton export number reached 125,000 bales from a total production of approximately 170,000 bales. 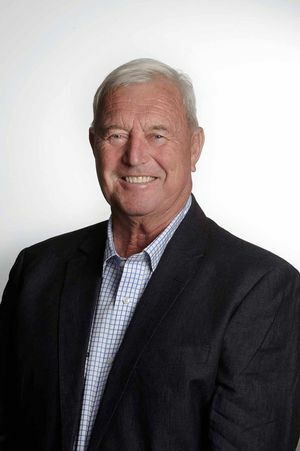 Mr Alan Rimmer replaced Mr John Howes as CEO of Namoi Cotton. Ashley gin underwent a rebuild. 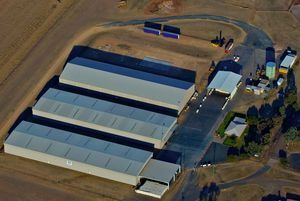 Acquired 6 cotton seed storage sheds located adjacent to a number of our gin sites providing a strategic marketing advantage enabling access to containerised seed markets. 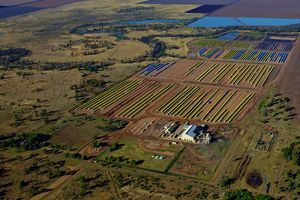 In July 2005, Queensland Cotton Holdings launched a takeover approach for Namoi Cotton. The bid of $109 million was unanimously rejected by the Board. 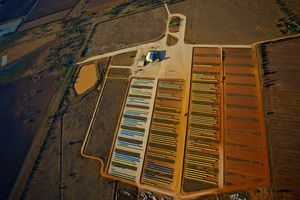 The Board felt that the offer significantly undervalued Namoi Cotton’s position as one of the leaders in the Australian Cotton industry while also reducing competition and grower participation in the Australian industry. For a full list of our locations and their contact details, please visit our locations page.